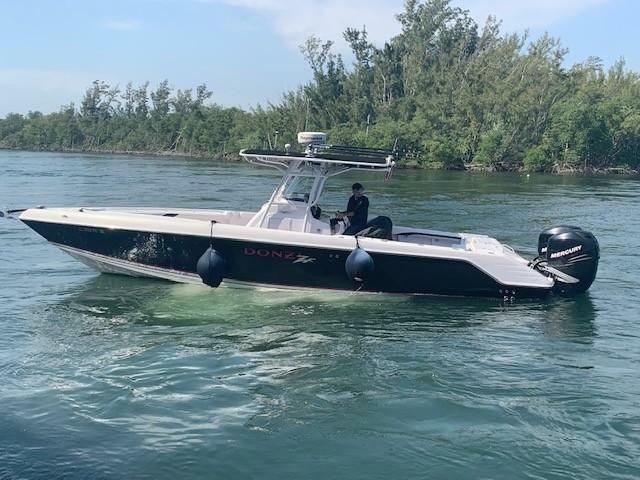 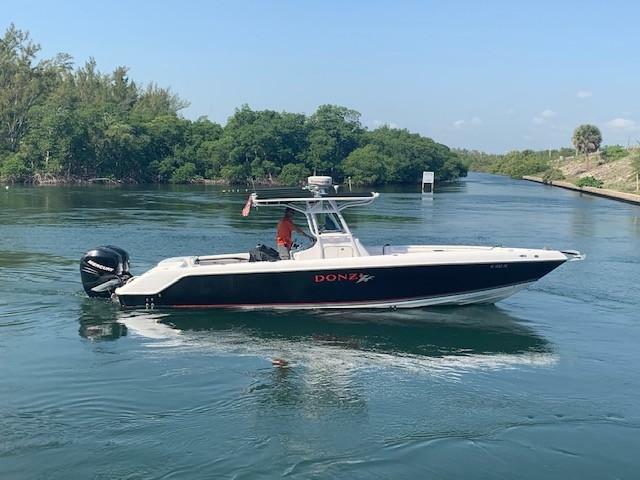 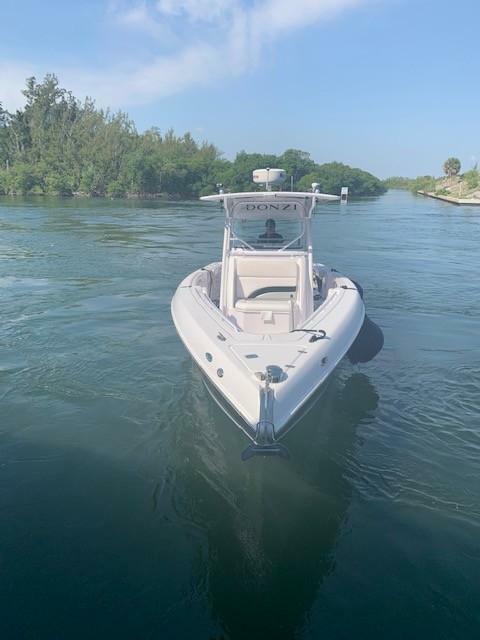 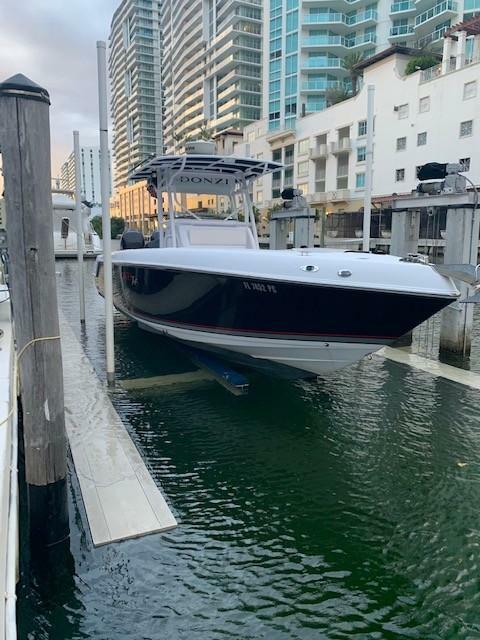 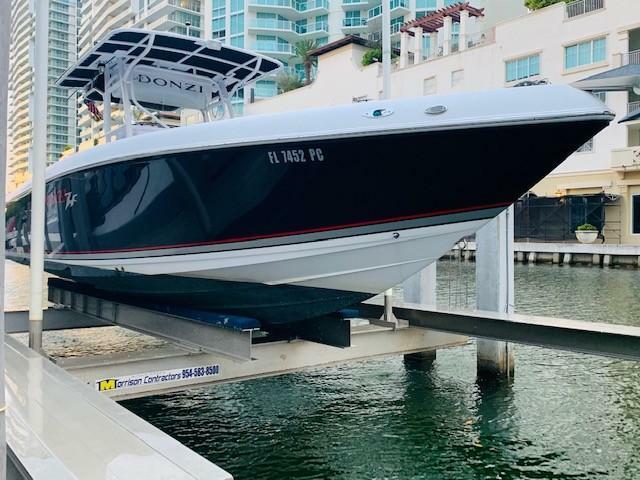 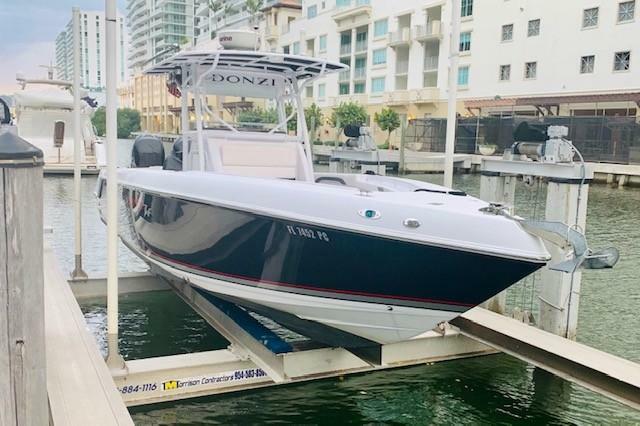 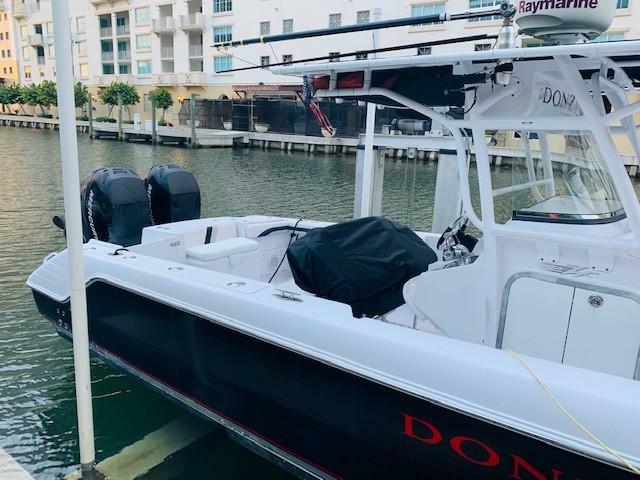 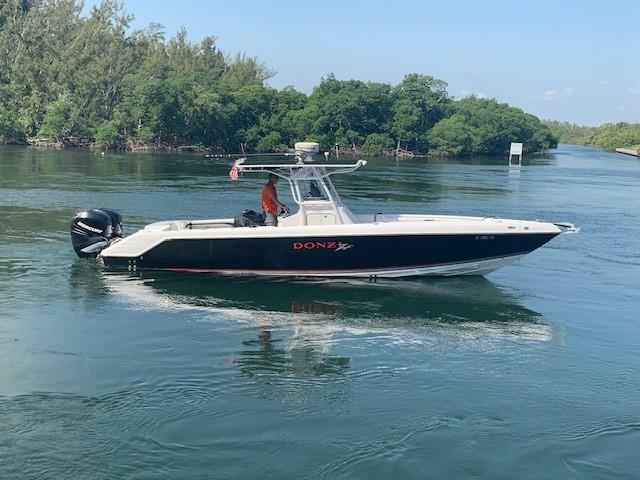 This 2007 Donzi 32 ZF comes equipped with twin Mercury Verado 250 HP motors at 780 hours. 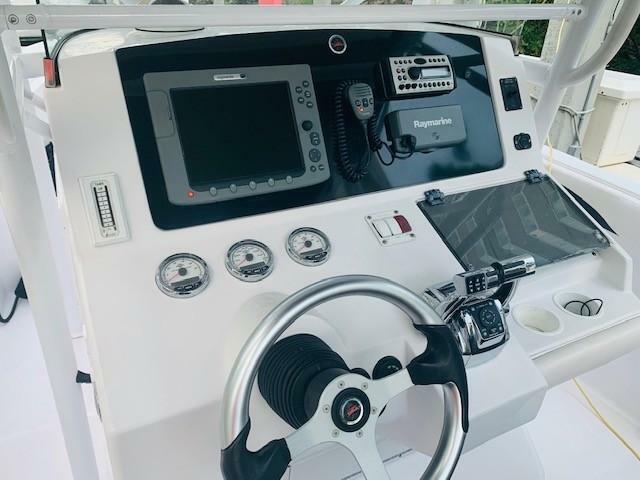 Electronics include Raymarine E120 Multifunction Display GPS Chartplotter, and Raymarine Radar. 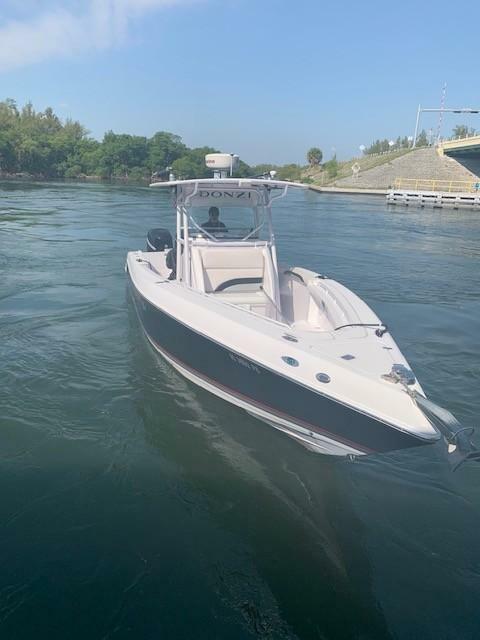 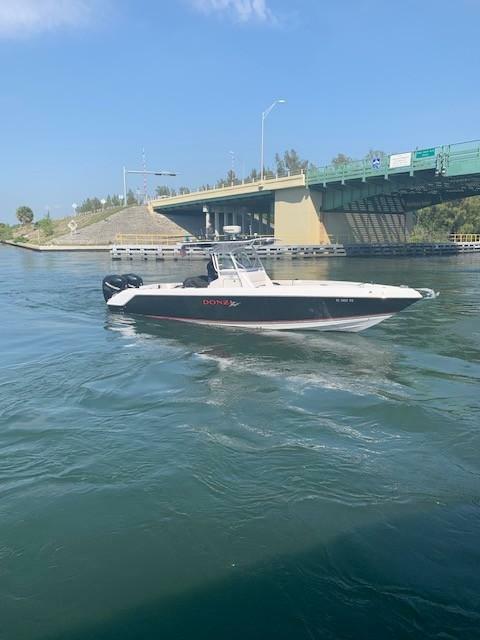 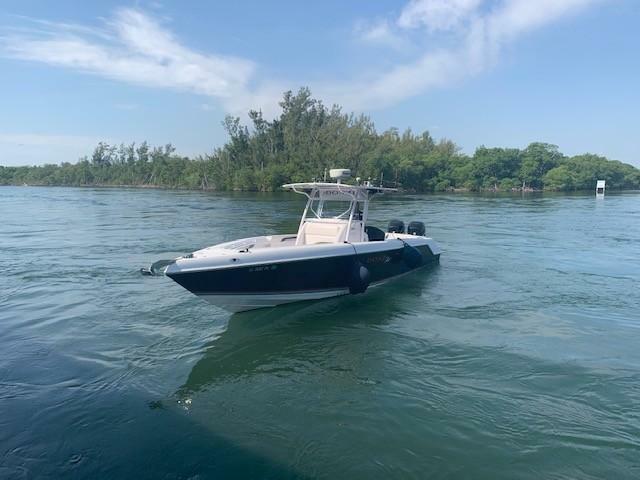 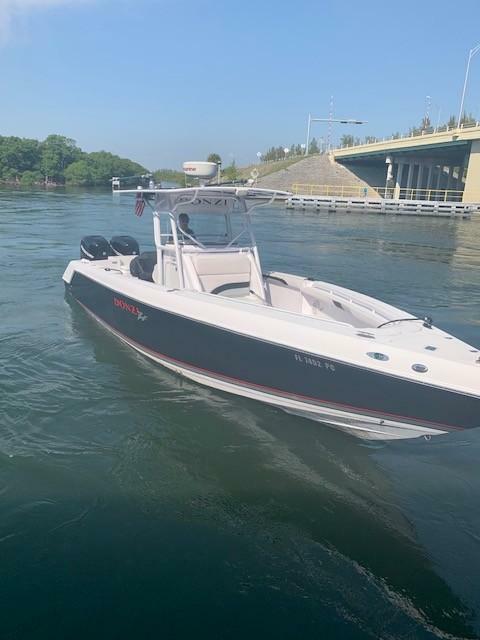 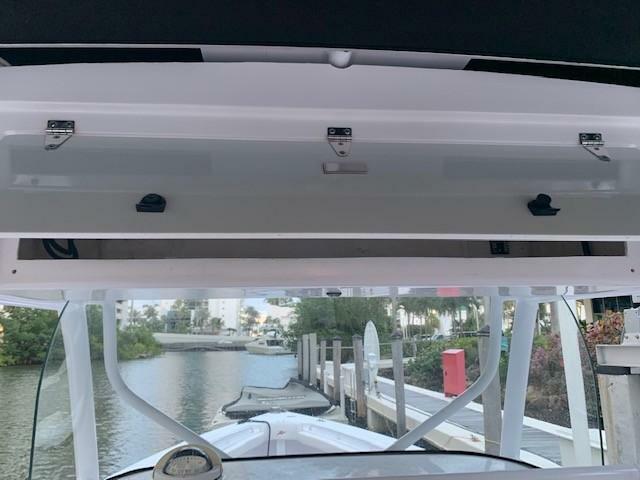 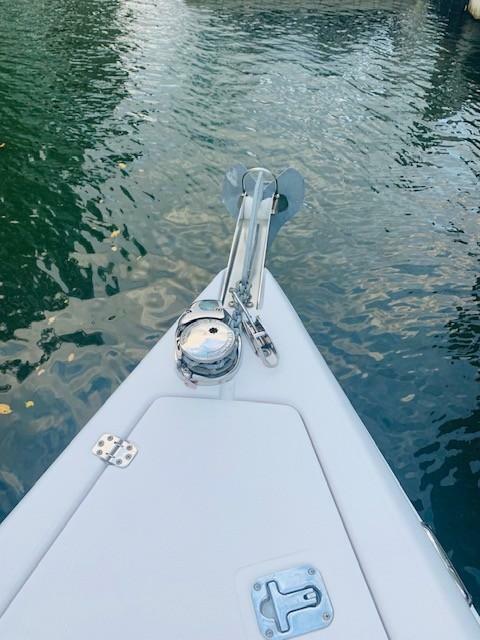 Included are a Lewmar windlass, JL Audio sound system, Grand Slam Taco outriggers, and battery charger, two removeable coolers, and ample seating and storage space. 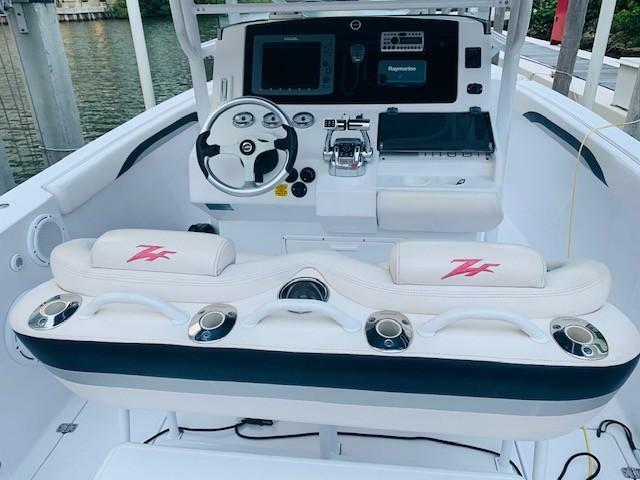 Fishing gear includes a 50-gallon illuminated livewell with high volume pump system, locking tackle boxes in the console, and extensive rod holders located in the gunwales, helm seat, and T-top. 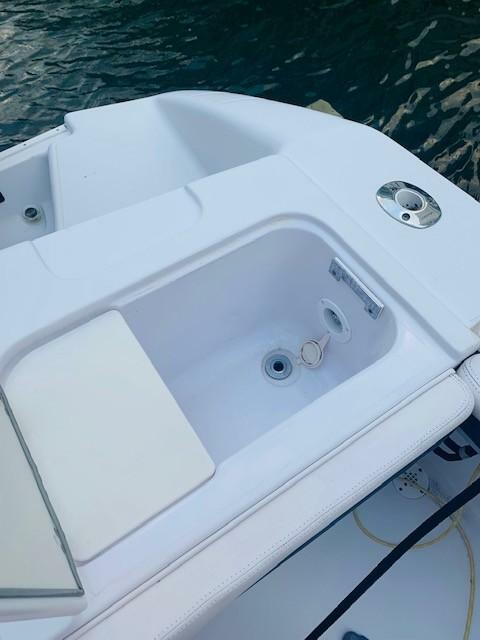 This boat has bottom paint. 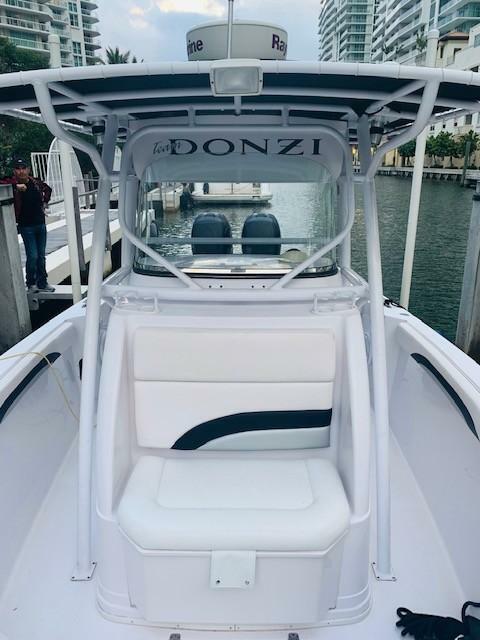 The Donzi 32 ZF boasts a full array of fishing features, like insulated overboard-draining fishboxes in the aft cockpit floor, and a 50-gallon illuminated livewell with high-volume pump system. 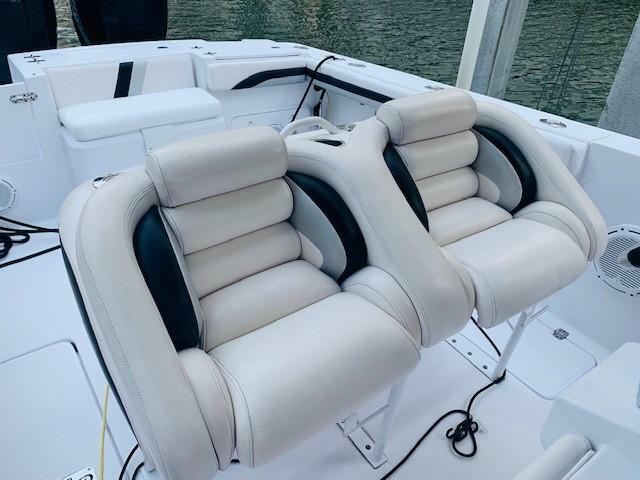 There are four standard rod holders in the gunnels, four more in the helm seat, and four more on the T-top. 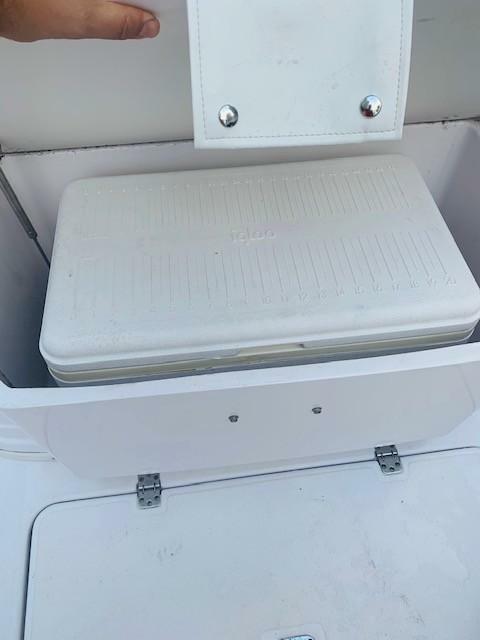 The 32 ZF comes equipped with two removable coolers, locking tackle boxes in the console, and more. 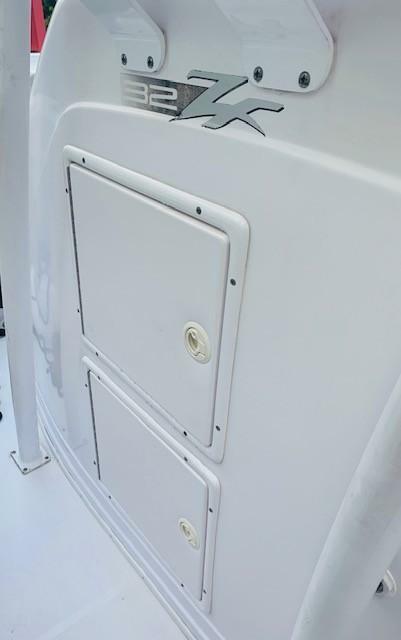 Beneath the diamond-pattern nonskid, floor hatches with heavy-duty latches allow access to ample below-deck storage. 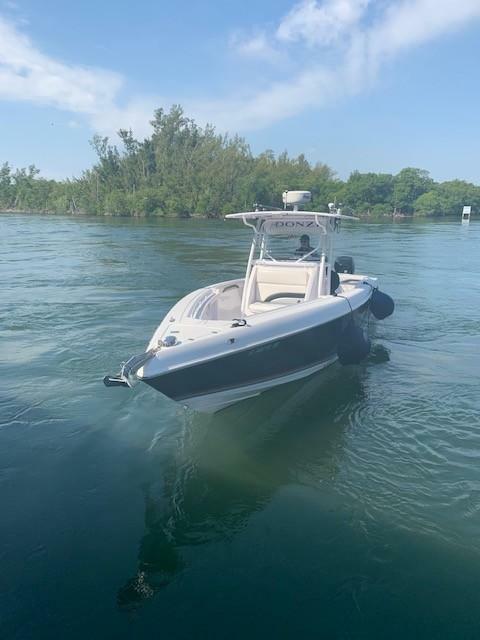 The 32 ZFs stepped running surface allows for maximum top end speed while also enhancing cruising speed efficiency. 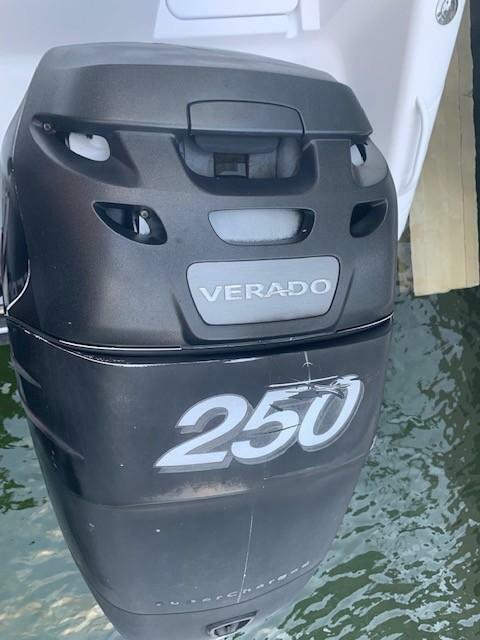 Max hp displayed as standard. 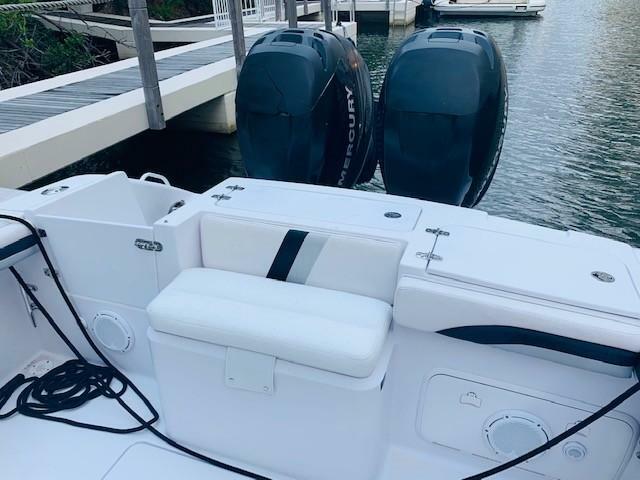 Various Mercury power options available.